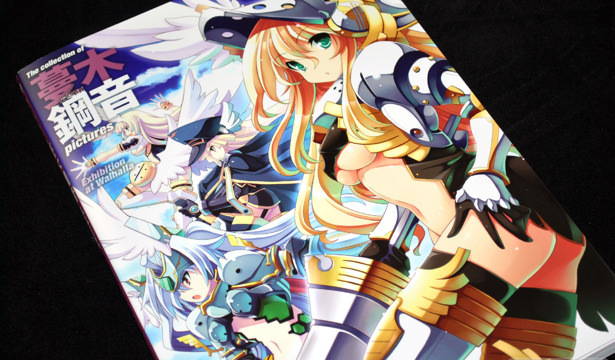 Tsurugi Hagane's first art book came out at the end of January with an usually long title, The Collection of Tsurugi Hagane Pictures Exhibition at Walhalla. The presentation is what I'm beginning to expect from PUSH!! art books; plenty of illustrations, the majority of which are tiled three (or more) to a page with very few full page illustrations. 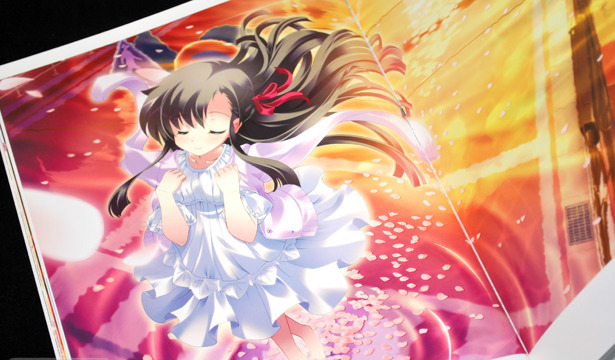 The art work consists largely of Tsurugi Hagane's commercial works under the game studios SkyFish, and F&C FC03 Dreamsoft.